Wet & Windy but Nice Today! 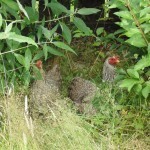 After a day when it poured with rain and the wind blew, the hens were stuck in the safe run for most of the next day. Today they get to play and hunt bugs. 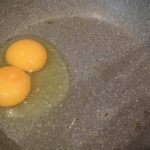 What breeds of hens lay double yolk eggs? 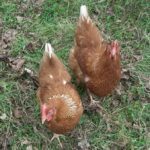 And the answer to this mystery is in this article about double yolk eggs from the special farm shop breed! 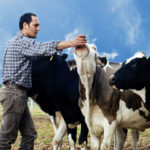 A discussion by John Harrison about the law on feeding chickens and other livestock waste food. What are they and do they make sense or support business? The fun of getting the youngsters to bed, unruly teenagers that they are! 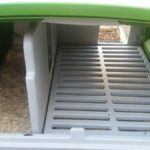 The weekend cleaning job is never fun but it's easier with the Eglu. 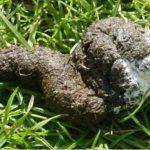 Hens do make an awful lot of muck but their droppings aren't so much a problem as a fantastic garden resource if handled properly. 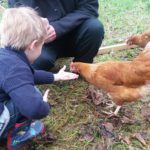 We had to go out and when we came back our hens had 2 surprises for us. One that scared me and the other made us happy. Getting more and better eggs, now. 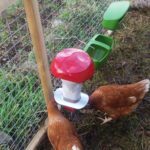 The Roamwild pest proof chicken feeder is great for anyone suffering rodents or birds taking the flock's feed. We also now have two layers in the new flock. 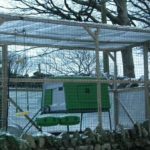 Our new fox proof chicken run and poultry area. 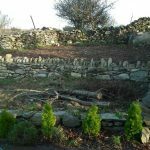 Why we've built it to such high standards and how we've made it absolutely fox-proof. 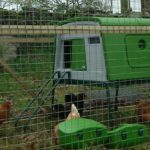 We thought long and hard about what coop to get for the new poultry and settled on the Eglu Cube. 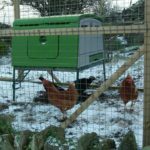 Here's why we chose the Eglu Cube over cheaper coops. 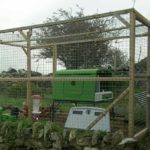 With the new coop and run set up we went to the local poultry auction in the hope of starting a new flock of hens at the smallholding. 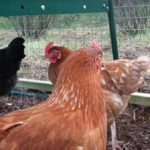 Is There Still an Avian Flu Outbreak? 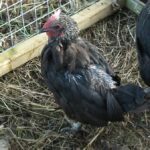 I've been asked whether or not there is still an Avian Flu Outbreak in the UK and whether or not the DEFRA restrictions remain in place for poultry keepers. 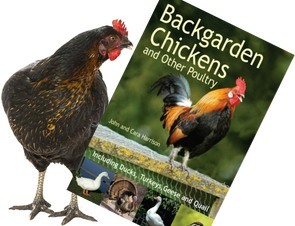 Poultry feed prices have been creeping up and many readers have asked about making their own. 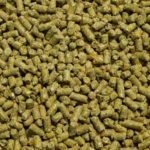 We've a number of articles that can help with making feed. With lots of poultry now free to roam again we keep finding two little ducks in the road who escape daily from our neighbour's paddock. 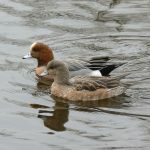 Cheeky Ducks! 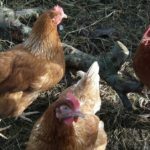 The risk of avian flu is still high in the UK and new restrictions are now in place. You need to use the new map to check if you are high or low risk.